Out West we have a tradition that drives upland wingshooting purists up the proverbial wall. Author with his MKIV Ruger pistol and a grouse that hesitated. We occasionally shoot grouse with pistols. 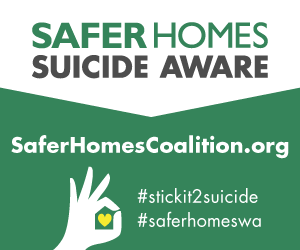 I’ve been doing it for years in Washington state, and it’s legal in Alaska, Oregon, Idaho, Montana and elsewhere, but be sure to consult your state’s regulations. 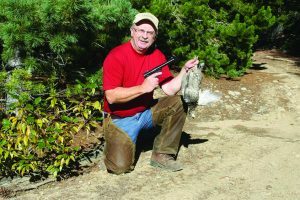 Bonking a grouse in the head with a .22-caliber bullet saves meat, and eliminates any worries about biting down on a chunk of No. 6 or 7½ lead at the dinner table. As the hunting seasons wear on – in most states, grouse hunting doesn’t really get fired up until October, and by November, when most upland bird hunters are at home by the fireplace, the really dedicated people have less competition and more of a challenge. 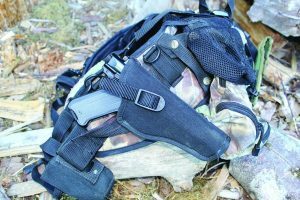 Author Workman often carries a .22-caliber pistol in this nylon holster attached to his backpack. It’s handy when encountering a grouse or rabbit on the trail. My grouse season in Washington opens Sept. 1, so if you’re reading this after the Labor Day weekend, I’ve already been busy! Grouse can be predictable, and even later in the season after they’ve been hunted, they have occasional lapses of stupidity that, even after all the years I’ve hunted the buggers, still can be astonishing. Of course it’s quite a rush to have a thunder chicken explode from cover, sometimes almost at one’s feet, and be able to recover quick enough to tumble that bird out of the air with a shotgun. That’s no small feat in its own right, but when the grouse goes up and lands on a limb 10 to 20 yards away, it’s tempting to pull a pistol, take a rest or use a solid two-hand hold, and clobber him with a 40-grain lead pill to the noggin. So, just how does one become that adept? It’s not as difficult as one might imagine. All you need are the right targets, a supply of ammunition, a good trigger and a bit of patience. 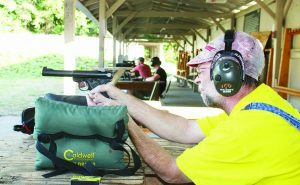 First, one requires a decent pistol, preferably in .22-caliber, though I’ve seen them taken with everything up to a .44 Magnum, which wasn’t as messy as it might seem, primarily thanks to excellent marksmanship. I wouldn’t personally recommend it, though I once (and only once) plugged a fat blue grouse using a Model 19 Smith & Wesson in .357 Magnum. One doesn’t make a habit out of that for any number of reasons. It might take 100 rounds or more to fine-tune your pistol shooting, and one challenging target that makes it fun is a bottle cap. I prefer the rimfire. They shoot flat, you either hit or miss, the ammunition is still inexpensive, and I’ve got a couple of Ruger semi-auto pistols that are simply dead bang accurate. One is an original “Standard” model (they became the MKI) and the other is my more recent acquisition, a bull-barrel MKIV that already has a notch or two—and more are on the horizon. Start with the handgun, either a semi-auto or revolver. You must spend time with this at the range, shooting from a steady rest—sandbags are superb for this – and shoot slowly. The first ten rounds I ever fired from my MKIV took several minutes as I studied where each bullet struck a Birchwood Casey Shoot-N-See target. Those things don’t lie, and I was able to use a small screwdriver to carefully, and gradually, adjust the rear sight until I was “dead on” at 25 yards. 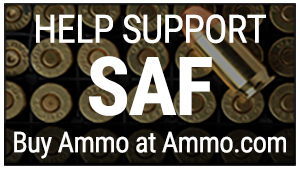 Once you establish where the gun shoots, round up a good supply of the most accurate ammunition your target session reveals, and get to work. When I bought the older Ruger some years ago at a gun show, I was worried about the fixed sights. 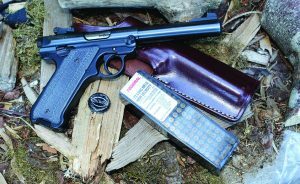 It was all for naught, because a short range session and two 50-round boxes of rimfires I grabbed off the shelf revealed the pistol was remarkably accurate with 40-grain LRN Winchesters and 36-grain Federal hollowpoints. I was loaded up with the latter the day I clobbered the fat blue grouse pictured here at about 25 yards, using a two-hand hold and no support a few yards off an old logging road. Author’s brother, Frank is no slouch with a sidearm, but he has spent time at the range to sharpen his skills. Champion produces a dandy reactive self-sealing synthetic crow target that works great for this kind of practice. Again, don’t try to achieve wonders too fast. This is going to take patience and involve no small amount of recreational shooting. The payoff, of course, is a delicious meal or two. Concentrate on just shooting the crow target in the head. That’s not as easy as it sounds, but the target will react every time it is hit. Instant gratification! Don’t stop, because there is more to refining the marksmanship down. If you’re an upland shotgunner, save some empty hulls. They make terrific targets, and by picking them up you’re not littering the forest with your spent shotshells. If you set them up on a berm with a good backstop (no rocks! ), those plastic empties immediately signal a hit or miss, and you adjust accordingly. Same goes with small empty soda cans, the 7.5-ouncers one now finds in the stores. Anybody who can consistently poke holes in one of these should be quite capable of head shooting a grouse, or a cottontail or jack rabbit, for that matter. I didn’t mention that all of this shooting practice will work for other game, but it sure does. 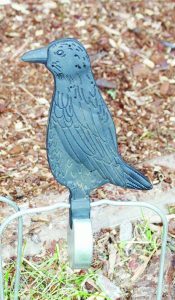 This self-sealing crow target from Champion is excellent for practicing head shots on small game. Finally, one can work his/her way down to shooting bottle caps. I learned as a kid shooting an old Model 69A Winchester bolt-action rifle that bottle caps are a hoot to shoot, and when I graduated to hunting with a handgun, suffice to say I got fairly handy at it. Back in the days when I hunted raccoons with an old hound hunter who was a great mentor, I managed to knock a few bandits out of trees with a .22 LR Harrington & Richardson nine-shooter, and later a single-action rimfire sixgun made by the old Hy Hunter Company. I had wanted a Colt Frontier Scout single-action, but did the best with what I had. Now, once you’ve clobbered a bird, you’ve got to quickly clean it. For dinner I like to breast them out, season them and cook them in a skillet, perhaps with some bacon. I’ve also tried grouse breasts as a substitute for chicken, with pasta and parmesan. It’s delicious. And it’s also lead pellet free!